Alu Coil & Foil-alloy, spec. & app. 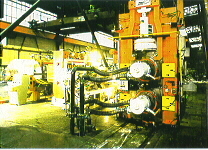 With hydraulic roll balancing system, computerised level control, Alpur degassing system and metalofilter.